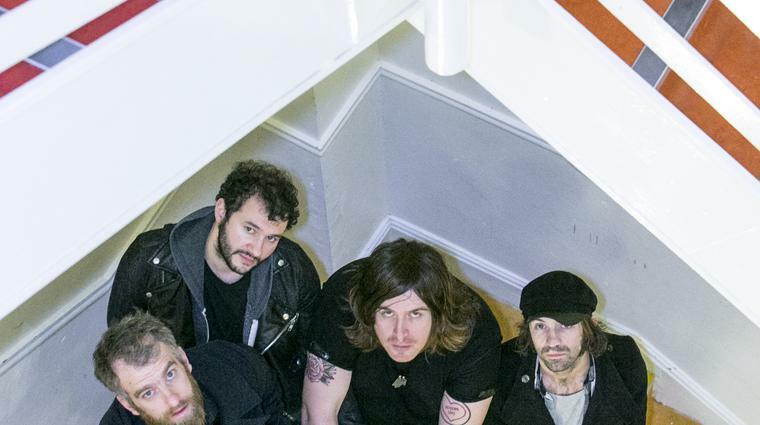 Barry Egan meets Dublin band The Mighty Stef and frontman Stefan Murphy reveals the childhood in Dublin's city centre that inspired The Nightwatchman on The Year of The Horse. Stefan Murphy of The Mighty Stef during the Windmill Lane Sessions. Who opens an album with a track called Everybody Needs A Grave? Clearly nutters on something possibly illegal. Be that as it may, this is the insanely compelling introduction to The Mighty Stef’s The Year Of The Horse, one of the albums of 2015 so far. And not just in Ireland. Anywhere. Beautiful numbers like The Nightwatchman of the Iveagh Flats, Horse Tranquillisers and Murder swagger like a Rudolph Valentino in the moonlight after a bottle of mind-obliterating absinthe. 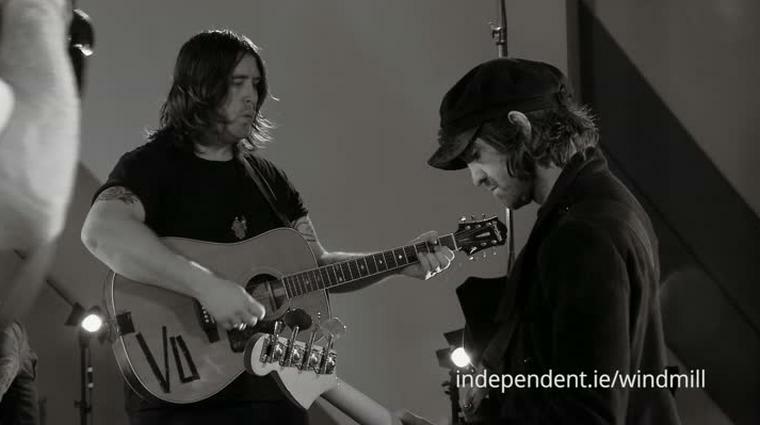 The last song, Murder — coupled with a rollicking rendition of the Velvet Underground’s Waiting For The Man, which soon segued into a head-spinning I Will Follow by U2 — showed the primal power of music to move you emotionally when The Mighty Stef performed at The Windmill Lane Sessions on Independent.ie. My ears, and perhaps my chakras, are still burning with the spectacular sonic chaos of it all — loopy but lovely. Whatever about lovely, The Mighty Stef’s front man, Stefan Murphy, has the cut of a man seeking redemption in some shape or form. When he sings about “yearning for deliverance” on The Hardship, you get the impression he isn’t going through the motions until he gets a job as a chartered accountant, unlike some rock singers who seem aesthetically fraudulent... if not complete chancers. Stefan wears indie rock-star glasses indoors all the time that make him look like a loopier version of Kurt Cobain in his heyday. 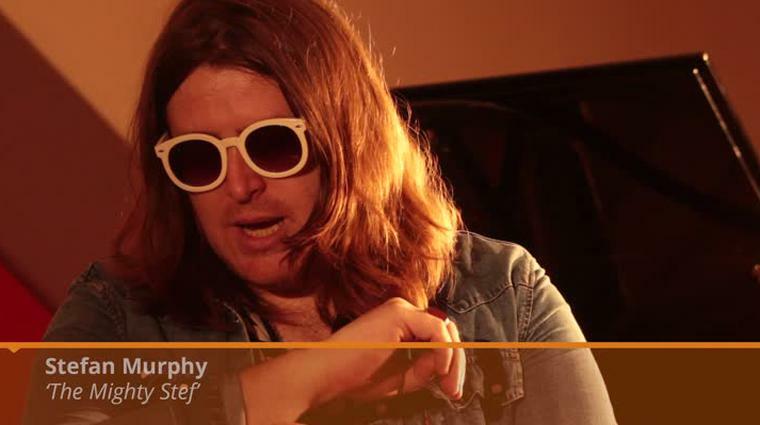 Stefan also sings like a slightly psychologically out-of-kilter Nick Cave fronting Echo & The Bunnymen circa Crocodiles, or Primal Scream circa XTRMNTR, with the added zing that being brought up in Dublin’s inner city brings with it. “My family, we grew up in the Iveagh Flats in Kevin Street,” he says of the inspiration behind The Nightwatchman, “my mam is from there. We lived there as kids until we were almost in our teens. “That song is a snapshot of various different things that I remember from growing up. Halloween and all the kids collecting for the bonfires was a big thing — and then the menace that went with that kind of activity. After night fell it was like everyone turned into ghouls and goblins. I was always afraid of my life! “A lot of the songs I have written,” he adds, “have been snapshots of ideas that I have picked up in my life along the way. “I was living in Smithfield, going back a few years now,” he explains of the grim inspiration behind Murder, “and I read a story of some young wan who was brutally attacked in the square. I was always down around there, watching all the kids hanging out. And even though it is the inner city, the kids are so street-wise that it seems really safe down there. Power right through to Arcade Fire’s Neon Bible) without sounding like kitsch karaoke.